Rivers and canals referred to maenam and khlong in Thai have always been vital forms of communication. When the capital of Thailand was moved to Bangkok in 1782 (the beginning of the Rattanakosin period), the capital was laced with canals, so Bangkok was sometimes called the "VENICE OF THE EAST" by European visitors. 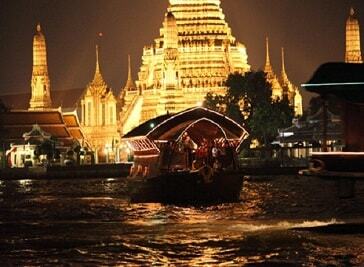 In the past, Bangkokians usually settled by the Chao Phraya River and gradually spread into the core of the country. As you will see traces of the Early Rattanakosin period such as architecture and traditional ways of life have been left by the river more than in the inland areas. Besides, waterways at that time were the most important means of transportation and trading as well. A cruise along the legendary Chao Phraya River and some canals on the Thon Buri side is the most pleasant way to explore the city once dubbed "Venice of the East" The majestic charm of the Chao Phraya adds perspective to your exploration of the city's premier attractions. 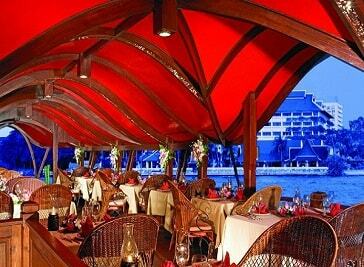 No visit to Thailand is complete without sampling its distinctive traditional cuisine, and no visit to Bangkok offers quite the same cultural tranquillity as a journey along the historic Chao Phraya River. Manohra Cruises operated by Anantara combines these unique appeals in a voyage of authentic discovery, by inviting you to savour Thailand’s finest regional specialties. 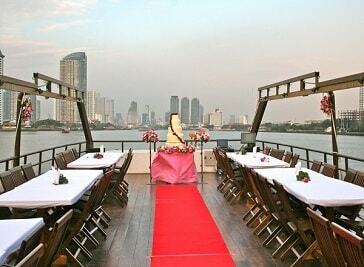 The Private Party Cruise Specialist in Bangkok which own and operate their own boats. On their cruise, you are their only customer and the centre of attention. Most of their business is earned through word of mouth. They are confident to say that in the market of private party cruises, they are the best, because it's the only thing they do. Step aboard a magnificently restored 100-year-old rice barge for a three-day, two-night voyage of indigenous discovery. 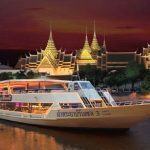 Cruise along the Chao Phraya River, passing the Temple of Dawn, Grand Palace and Royal Barges Boathouse in Bangkok en route to ancient wonders in the old capital of Ayutthaya.